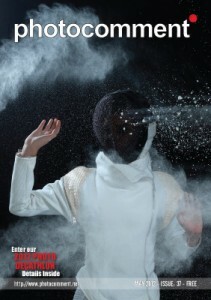 The May 2012 Photocomment Magazine is out on the web and being delivered to stores today. Mine was delivered to my pillow an hour ago and what a perfect excuse to stay in bed a little longer while reviving my inspiration reserves for life and photography. In this issue the March theme decathlon winners are announced. The Professional Portfolio features photographers Ashley Cooper & Filip Cederholm in their international quest to highlight charitable causes. Learn more about food photography or just ache with hunger at the photographs like me. Then prepare to drool. I always drool over a Hasselblad they just look so pro. Natalie Field uses a Hasselblad for a day with cover worthy photographic results. Read about a company rescuing film. Colourful portraits fill the Reader’s Portfolio with Jackie Hulme’s work. She has a talent for capturing personality and culture with dramatic backgrounds.